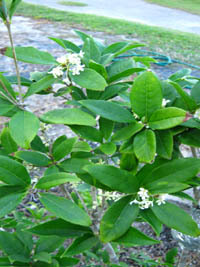 One of our favorite fragrant plants. 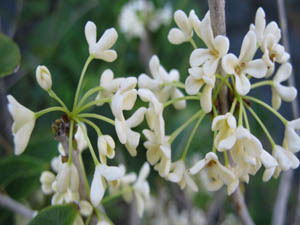 It is not an exceptional looking plant; the powerful fragrance is what grabs your attention. 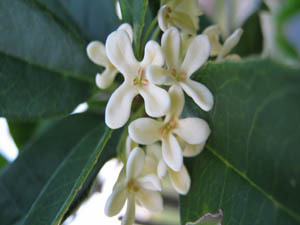 Place it where the fragrance can most be enjoyed. You will notice it every time you walk by. 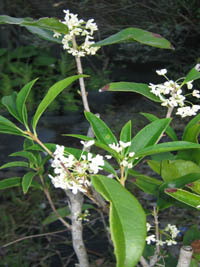 The flowers are small and inconspicuous, but will appear frequently throughout the shorter days of the year.